Which comes first: possibility or reality? Think outside the box at Patrick Howlett’s new show. Photos courtesy of Susan Hobbs Gallery. A thoughtful Wednesday in the city: local terrorists, possibility meets reality, and power games up close and personal. LAUNCH: Not one, but two launches, celebrate the release of Our Friendly Local Terrorist by Canadian activist Mary Jo Leddy. You already missed one, jerk, but you can catch the latter tonight at Romero House. It’s Leddy’s story as a witness to the case of fourteen-year-old Suleyman Goven, a Kurd accused by the Canadian Security Intelligence Service of being a terrorist. During a painful eight-hour interview, Goven was told if he worked as a spy, he’d get his papers. Leddy jumps off here into a moving personal story exploring the efficacy of immigration and security in the Canadian Government. Human rights activist Helga Stephenson lends her support, and says, “No wonder Canada’s stature in the human rights world has sunk to its lowest level ever.” Ouch. Romero House (1558 Bloor Street West), 5–7 p.m., FREE. 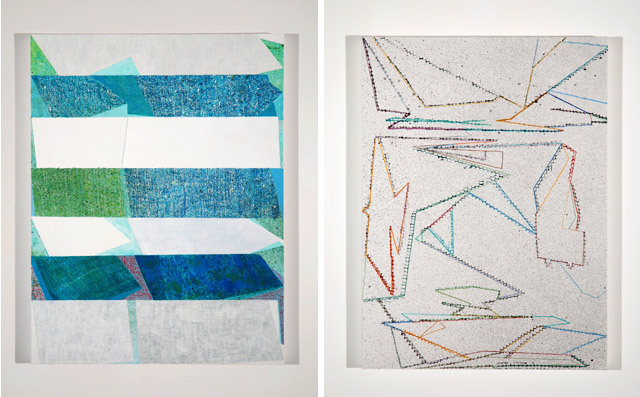 ART: Abstract artist Patrick Howlett presents The Possible and the Real, a continued exploration—this is his second solo show at the Susan Hobbs Gallery—of the indeterminate nature of meaning in abstraction. The show’s name is from Henri Bergson, an early twentieth century French philosopher who argued “the possible” and “the real” exist simultaneously in the present. As such, Howlett’s take uses geometric abstractions—executed in egg tempera—to obscure and develop reality in one full swoop. Catch the opening show tonight or through to October 16. Susan Hobbs Gallery (137 Tecumseth Street), 5–9 p.m., FREE. LAUNCH: How’s this for meta? : Zoë Druick’s Allan King’s A Married Couple is a cultural analysis of the once-controversial, now-acclaimed 1969 documentary of a real-life couple’s power struggle. Still following? Well, Druick explains everything—scene by scene, no doubt—tonight at the Gladstone. It’s another thought-provoking Pages Books’ This Is Not A Reading Series event, this time with Pages founder and Montage Magazine editor Marc Glassman, to get you feeling scholarly this September. And once you’re in the mood, A Married Couple has a public screening playing Friday at 4 p.m. at the AMC. The Gladstone Hotel (1214 Queen Street West), 8:30 p.m., $5.